Pregnancy is an exciting time. However, you still want to keep your DIY hobby going throughout. 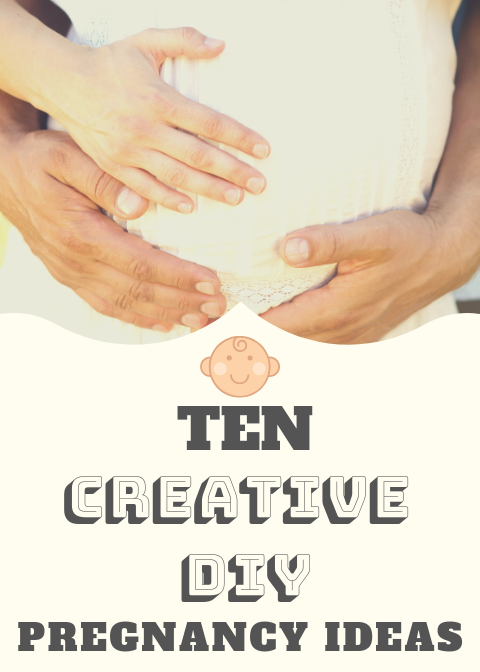 While there are some DIYs to be avoided, there are plenty you can still do and even ones that can celebrate your pregnancy and the coming of your new bundle of joy. Even better, there are ones that can make your pregnancy a little bit easier! What Can You Do During Pregnancy? Just because some DIYs are off-limits doesn’t mean all of them are. Here, we are going to take a look at some DIYs that can be fun and even helpful. Getting close to the end of your pregnancy can be thrilling. After all, you’ve been waiting nine months to meet your new baby! 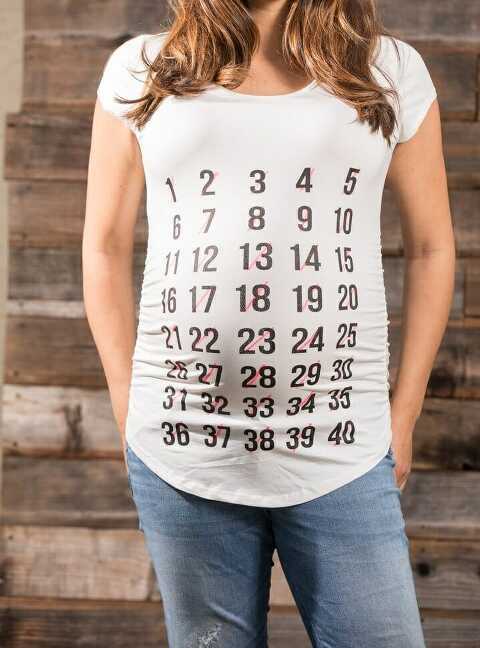 One of the best ways to keep track of your calendar is to make a countdown shirt. You’ll want to start by buying yourself a white t-shirt. Then, with the help of a little fabric paint and some stencils, you can add numbers to your shirt to count on. With an extra fabric marker, you can strike off the days as they pass by. Some of the most precious mementos throughout pregnancy are the ultrasounds you receive as your baby grows. It can be particularly interested to look at these ultrasounds one after another to look back on the progress you’ve made together. 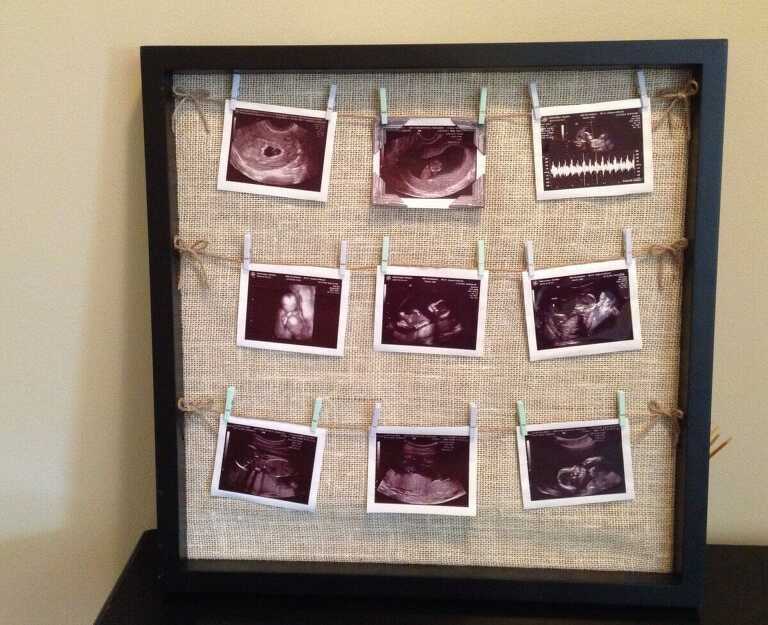 To create a display that does exactly that, gather up a large frame, some twine, small clothespins, and copies of your ultrasounds. You can string the twine across the frame in rows and then clip the pictures into place. While expecting a new little one is great, there are aspects of pregnancy that expectant mothers don’t like quite as much. One of these things might be trying to get comfortable in the night. You can help this comfort out a bit with a maternity pillow. If you’ve ever made a pillow before, it’s just like that, you’re just going to make it a lot bigger. If you haven’t, get a fabric you love and cut out a pair of long pillow shapes. Then, sew them together except for one side, add in plenty of stuffing, and sew it closed. The more stuffing you add, the fluffier it will be. Nausea is another common foe during pregnancy but these popsicles can help. If you want that perfect popsicle shape, it’s easy to find molds that will help you. One flavor combination that might help is green tea, ginger, and peaches. Green tea is caffeinated, but decaf options are available. For a dozen popsicles, you’ll want 6 or 7 peaches with pits and skin removed, a ½ tablespoon of fresh ginger, a cup of green tea, and about a quarter cup of sugar for sweetness. Blend the peaches and ginger together and then add the green tea and sugar. Then, just put it in your popsicle mold and wait for them to freeze. If you’re handy with a sewing machine, you could always find a pattern for your very own maternity dress. This is a good way to make sure that you have exactly the maternity look you want. Even after you give birth, you can repurpose it or gift it to expecting mom. Like we’ve said, a lot happens throughout your pregnancy. One of the best ways to keep track of everything and create memories is to make a pregnancy journal. In this, you can write down what you’re feeling and even store things such as invitations to the baby shower and ultrasound photos. Once you’ve learned your pregnant, you probably don’t want to keep it to yourself. At the same time, you might want to reveal the news with some flair. You can use framed ultrasounds, quotes, and even baby toys or clothes to set the scene. After a little photo shoot, you’ll be ready to announce things with style on all your social media accounts. While popsicles are great, you might not want to eat anything if you’re already feeling sick. In these cases, making your own morning sickness tea can be incredibly useful. You’ll need a tablespoon of fresh ginger, a tablespoon of lemon juice, and a tablespoon or so of honey. Put your ginger in a bowl and pour a cup of boiling water over it. Let this sit for 5 minutes while you combine your lemon juice and honey. Finally, stir it all together. As you move along in your pregnancy, you’re going to have to deal with changes in clothing size. If you want to make the jeans you already have last longer, though, it’s pretty easy. All you have to do is cut a slit in your jeans to let the waist out a little. You can sew a patch of denim in its place to cover the modification. Pregnancy belts can help support your stomach and make things a little more comfortable. With fabric and elastic, you can make one rather than buy one. You can even use a length of strong cord to tie it together so it fits throughout your entire pregnancy. What DIY Projects Should You Avoid While Pregnant? When it comes to DIYs to avoid during pregnancy, the most important to avoid are usually larger DIYs around the house. For instance, you’ll want to be careful about painting. Of course, you’re going to want to make sure the new nursery is perfect, but you’ll want to choose your paint carefully to avoid any harmful chemicals. Look for paint that’s water-based or latex. You should also keep your eye out for paints labeled no or low volatile organic compounds (VOC). Any spray painting or painting that requires a ladder should be avoided. Generally, you should avoid anything with strong chemicals such as reglazing porcelain sinks or using strong sealants or stains for wood. Additionally, anything that calls for a lot of physical labor isn’t a good idea especially later on in a pregnancy. During pregnancy, there’s a lot you can do to commemorate the time and even make it more comfortable. With these DIYs, you’ll have both of those things by being both safe and creative.